The City of Vancouver wants to put the brakes on the redevelopment of Chinatown with market condominiums, by reversing course on previous policy allowing taller buildings along Main Street. A new report recommends revoking the rezoning policy enacted in 2011, and prohibiting any new buildings above 90′, or roughly nine storeys. Development site widths will also be restricted to 75′. However, one exception will be made: the rezoning of the Brickhouse property at Main and Union for a 15-storey building, as it’s already in progress. 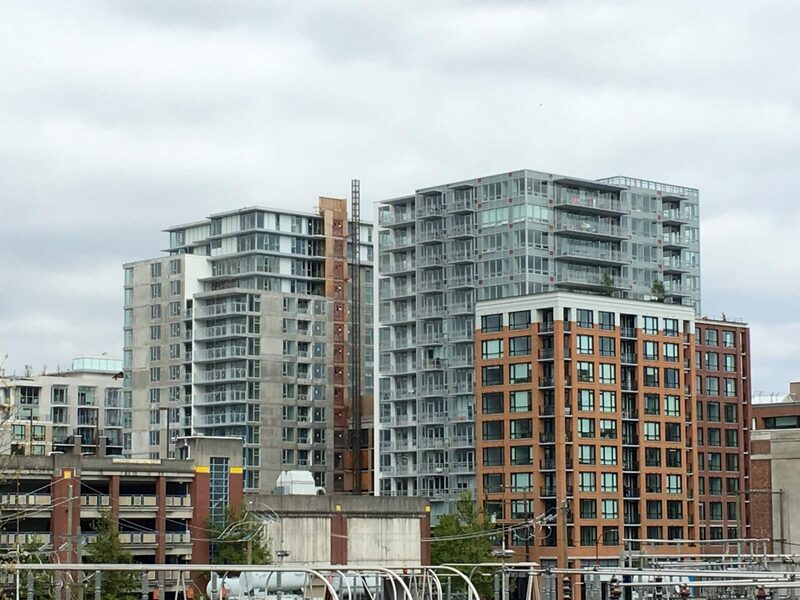 Since the 2011 policy allowing buildings of up to 150′ along Main Street, and 120′ in Chinatown South was enacted, six new mixed-use projects have been approved or completed — including developments like Keefer Block and BlueSky Chinatown, among others. The developments have collectively added 550 new market units to Chinatown, and 22 seniors’ housing units, as well as many new businesses along Main Street between Keefer and East Georgia, such as Dalina, Pacific Poke, Starbucks and Juke Chicken. However, the city says it’s listening to overwhelming community concerns that market development is happening too quickly, and the neighbourhood’s Chinatown character is under threat of disappearing. In the wake of the city’s planned reversal on new developments in Chinatown, a new community group has surfaced — one that supports higher buildings and increased density as a way to bring new life into the neighbourhood. “History has shown us that increased zoning resulted in business leasing activity improving substantially. There is no definitive evidence or guarantee that reducing density and heights will substantially improve things further and actually we feel strongly will result in slower leasing activity and business for the shops that have opened recently,” said spokesperson Steven Lee. The group says strong rhetoric has coloured the debate over Chinatown’s future, and that the consultation period on the proposed changes has been too short. “We remain implacably opposed to any downsizing of current density levels and fear it will only lead to the slow death and eventual extinction of Chinatown,” he added. The proposed changes will be presented to council tomorrow, June 5.